Last edited by G3isMe; May 04, 2016 at 20:59. Love the look. Nice job. Type II still looks great on that kit ... and the wood is gorgeous. Very nice. The receiver matches the rest of the kit very well. Very nice work! Kinda therapeutic beating up a new receiver isn't it? Its an odd feeling... then you see steel. Then you rub here, then there... then back here... then there again... then... then... OMG, it's another addiction. If my BFPU build turns out that nice, I will be really happy. Well done. Perfect look on that upper. Beautiful Rifle Sir! Great job on matching the upper and lower. I need some instruction on your technique for my StG58 we screwed together! So how many more are you adding? Very Nice G1 Rick ! Rick is a stand up guy ! You did really well brother. Keep up the good work. Here is the "challenge photo" that def laid upon me. . Î count about 20 G1s in that photograph so I think I am pretty damn close and ready for my close up Mr Demill . That being said I haven't done an "official count" recently and I know I have a few to go. I have several G1s I've built a long time ago that will need some new outfits because they're sporting wood handguards which is not going to work for this photo opportunity. Last edited by G3isMe; December 24, 2015 at 23:11. What is that old saying? "If you know how many you have, you don't have enough". Great looking G1, BUT, the wood is too shiny, best slap it a few times with an old log chain and drag it though a field behind a 4x4, OOP's, that's for SA break in, just throw it in the back of a pickup 45 times or so, that will do it. Have a shoot'in Christmas G3 and the rest of ya. Nice job on the build. I hope mine looks half that good once I'm finished. Nice B&W group photo there too. How’s the Def90 group photo coming ? I’m looking forward to seeing you in that uniform. Eine hervorragende Arbeit auf Ihrem Gebiet verwendet G1. Magazin foul auf allen G1 auf dem Foto. Rick, do you still have that chocolate-chip painted G1? That was a beautiful rifle; I've got a pic of it saved somewhere. 20 is not a Plt. Man youse guys must have good jobs. I’m envious beyond belief with these collections. Looks great! How well does the duplicolor hold up? I've got a scatter gun I need to refinish. Bought most of my kits under $200, I've bought a few since I got out, but none built into rifles since I was med-retired as a Sgt. Live like no one else so that later you can live like no one else. It's a lot easier to live like a broke college student in your 20's while your saving money than in your 40's as you try to get your net worth back to $0. Priorities, good fortune, good timing, and good karma. 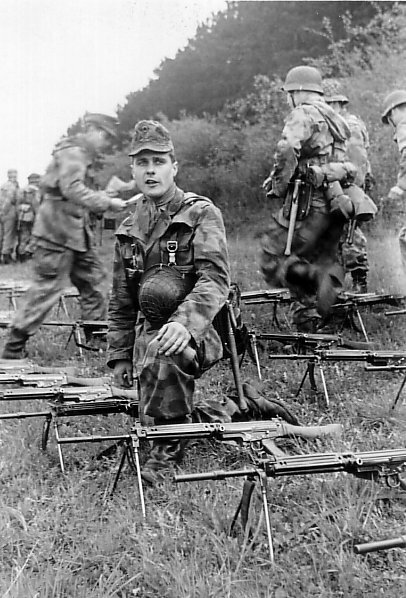 I bought most of my kits during the hey day era of Fal collecting. A large portion of my G1s are Tapco $89 or $99 specials from the late 90's early 2000's. Better quality kits from other sources were reasonably priced as well. I ate my share of Mac and Cheese and had to do more than one Fal purge for family emergencies/medical expenses. I was able to build my hoard back up before prices got too insane. Today's prices definitely hamper the acquisition of "platoon" sized collections. Nomad, 2nd, I would love to see picts of your 2 dozen G1s. Nothing like a row of fine German machinery. I know he bought three G-1 kits from me last year. I wonder how those builds turned out?